The way consumers discover and connect with brands continues to evolve. 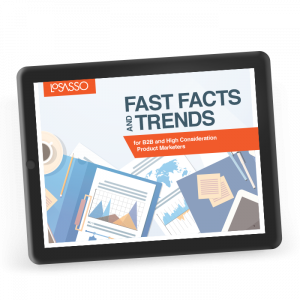 B2B and high-consideration purchase marketers need to stay dialed-in to changes in order to make smart choices about when and how to adjust—and when they should stay the course. Our latest report contains trends and data points we’re keeping an eye on to clear away the noise and elevate what’s important. We hope you find a few things that make you think, and help you evolve your marketing with confidence. Download our report and see what opportunities and trends you could be capitalizing on today.